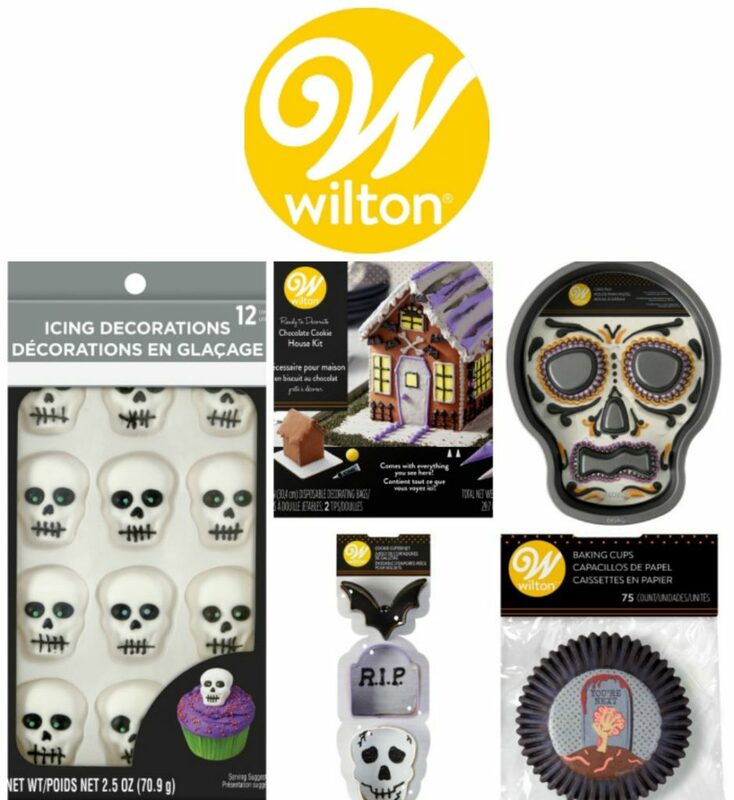 So we’ve talked about this before but let me just say it again, I love Halloween and I love cute, fun Halloween treats. 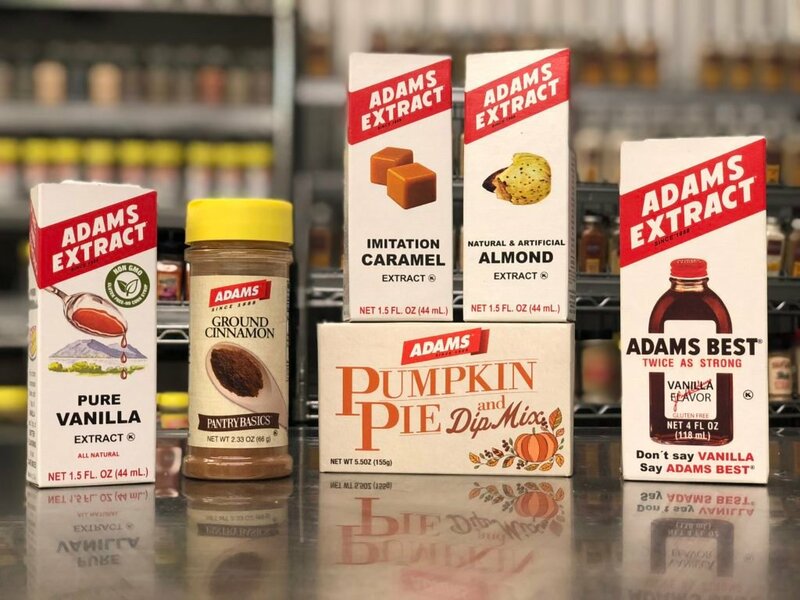 I’m not into crazy gross Halloween foods. We don’t need gross-looking foods around here. 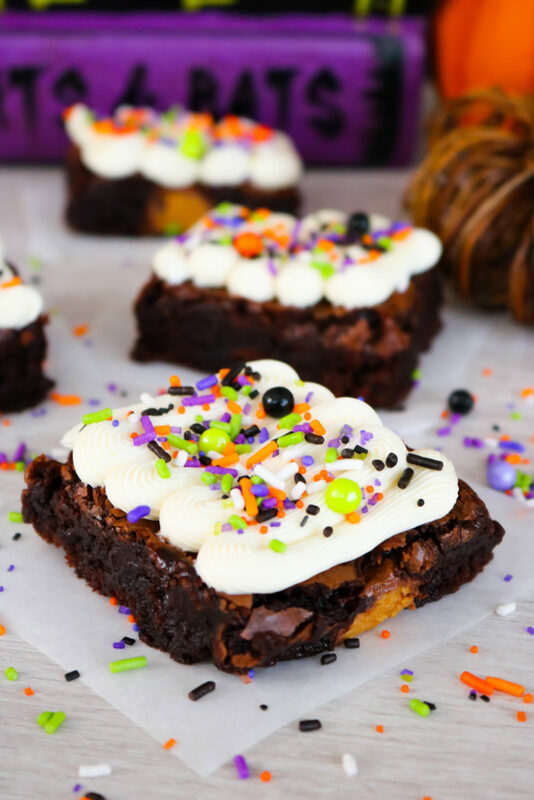 I’d rather have cute Halloween desserts like these Frosted Halloween Monster Mash Brownies! 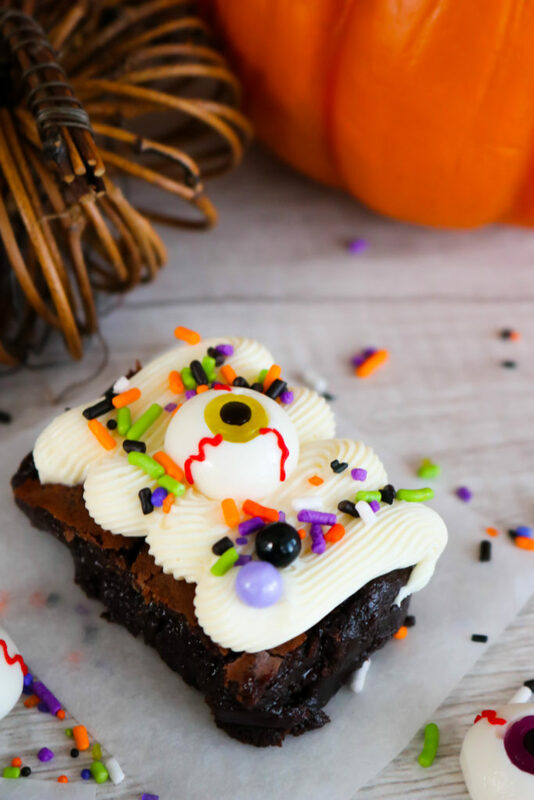 Although I did add some little gummy eyeballs to these Halloween brownies, I wouldn’t say that these little eyes are gross. They’re also kind of awesome match the cute Halloween sprinkles. 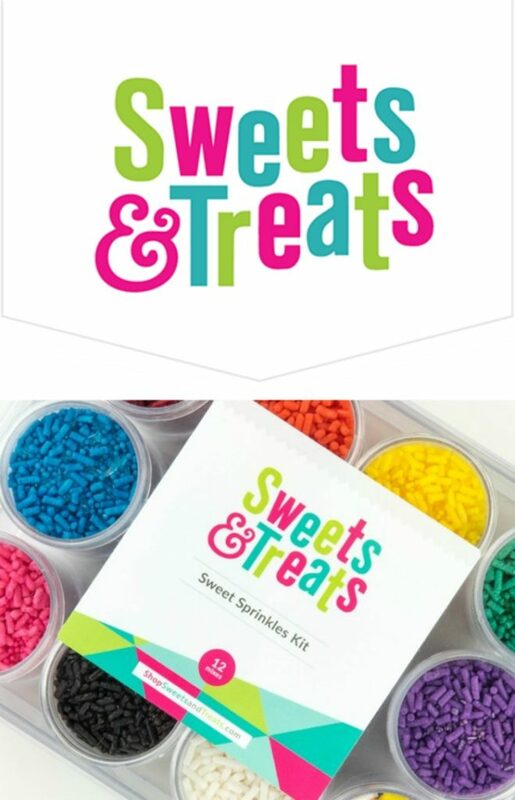 Since this recipe is part of #HalloweenTreatsWeek, Sweets and Treats Shop sent me some of her fun Halloween sprinkles and I knew I wanted to use them in this recipe. Plus, they’re my favorite Halloween colors. 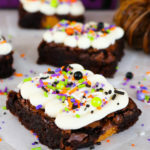 The mix I used for this dessert is the Sweet Sprinkles Mix: Monster Mash sprinkle mix. 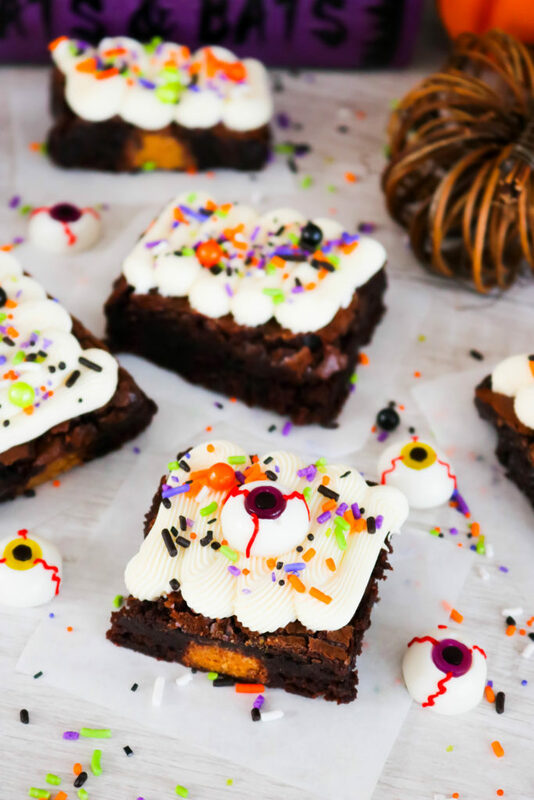 I decorated a few of them with just sprinkles but I also added a few of the gummy eyeballs that TreatStreet USA sent me to a few of the brownies. So, today is the last day of #HalloweenTreatsWeek. The giveaway at the bottom of the post will end tonight at midnight so make sure that you enter before time is up! Line 9x9 square baking pan with parchment paper or foil with overlapping ends (this will make it easier to remove the brownies later). In a large bowl, combine the diced butter, sugar and cocoa powder. Microwave and heat for 30 seconds. Stir mixture and microwave for another 30 seconds. Let chocolate mixture cool slightly. When chocolate mixture has cooled a bit, stir in vanilla and salt. Pour batter into prepared pan & press peanut butter cups down into the batter. Bake for 30-45 minutes until done. Slowly add powdered sugar while mixing. Add more powdered sugar for thicker icing or add a bit of milk for thinner icing. Pipe frosting onto cooled brownies with a No. 8B Open Star Decorating Tip. 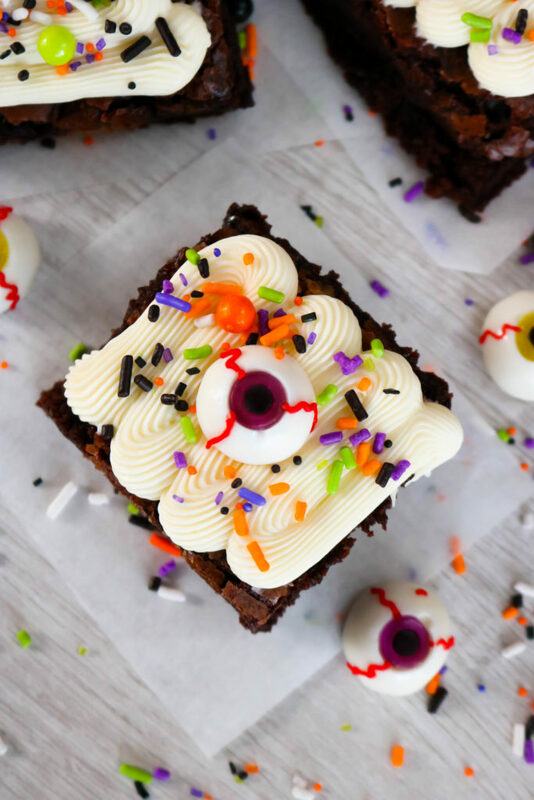 Sprinkle with Halloween sprinkles and top with gummy eyeballs. These are adorable. I prefer cute over gross too =) Thanks for all of your hard work! What a fun treat! Thanks for sharing at the What’s for Dinner party. 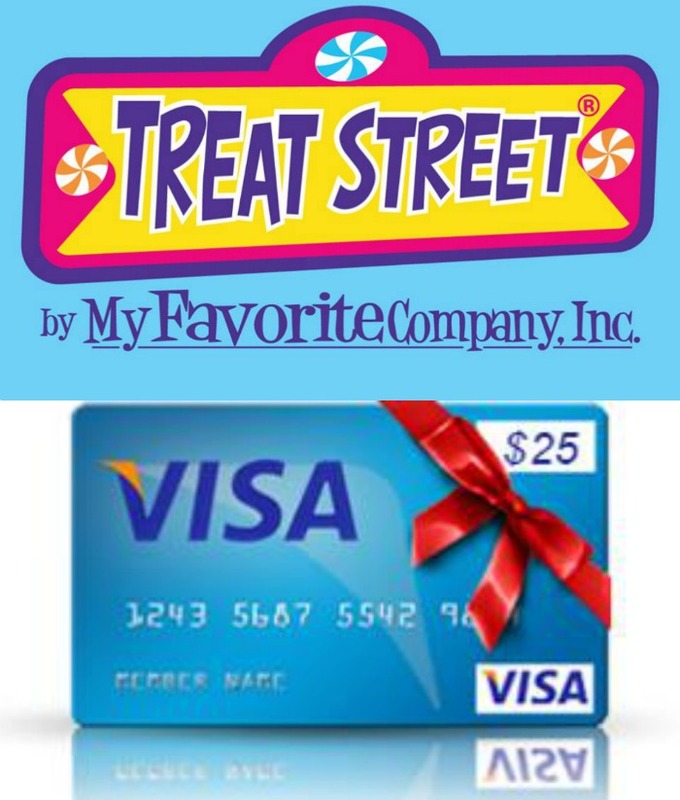 Can’t wait to see what treats you’ll bring this Sunday! Feel free to share as many as you’d like! Have a great weekend.